When will be Countryfile Winter Diaries next episode air date? Is Countryfile Winter Diaries renewed or cancelled? Where to countdown Countryfile Winter Diaries air dates? Is Countryfile Winter Diaries worth watching? The team discovers how golden eagles are poised to soar once more in the skies above Wales after an absence of 200 years. But some Welsh sheep farmers fear for their flocks. The team investigates why our endangered hedgehogs are in more trouble than ever and what we can all do to help. The team investigates a medical breakthrough poised to wipe out flu and meets a miracle hearing dog working wonders for a deaf teenager. The team discover how one pioneering dog could save thousands of shattered lives around the world and learn what it takes to do one of the UK's toughest winter jobs. Countryfile Winter Diaries next episode air date provides TVMaze for you. 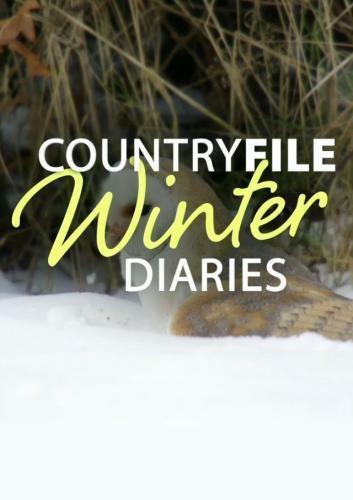 EpisoDate.com is your TV show guide to Countdown Countryfile Winter Diaries Episode Air Dates and to stay in touch with Countryfile Winter Diaries next episode Air Date and your others favorite TV Shows. Add the shows you like to a "Watchlist" and let the site take it from there.